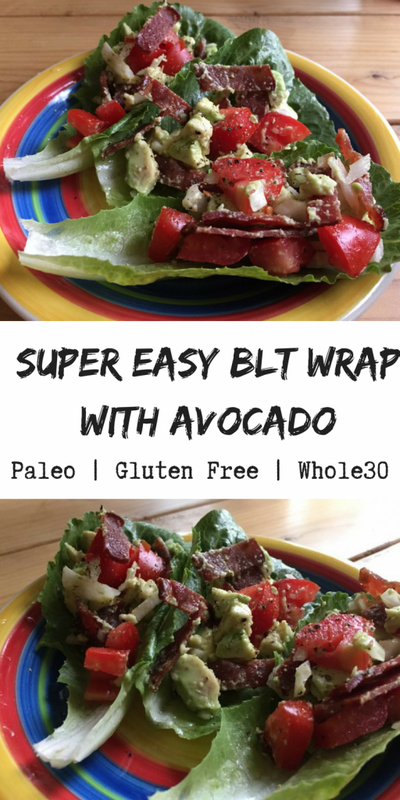 Super Easy Paleo BLT Wrap with Avocado - Oh Snap! Let's Eat! The BLT used to be my most favorite sandwich. I think it was because having bacon as the main protein meant I could get away with eating it for breakfast, lunch or dinner! 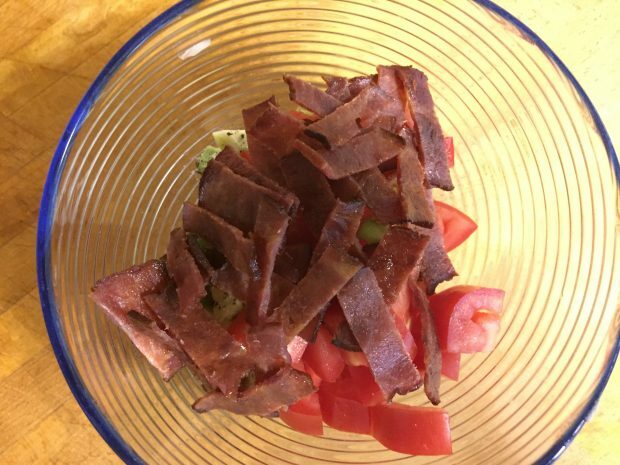 There is just something about its simplicity and the smokiness of the bacon with the acidity of the tomato that just makes for the perfect bite every time. 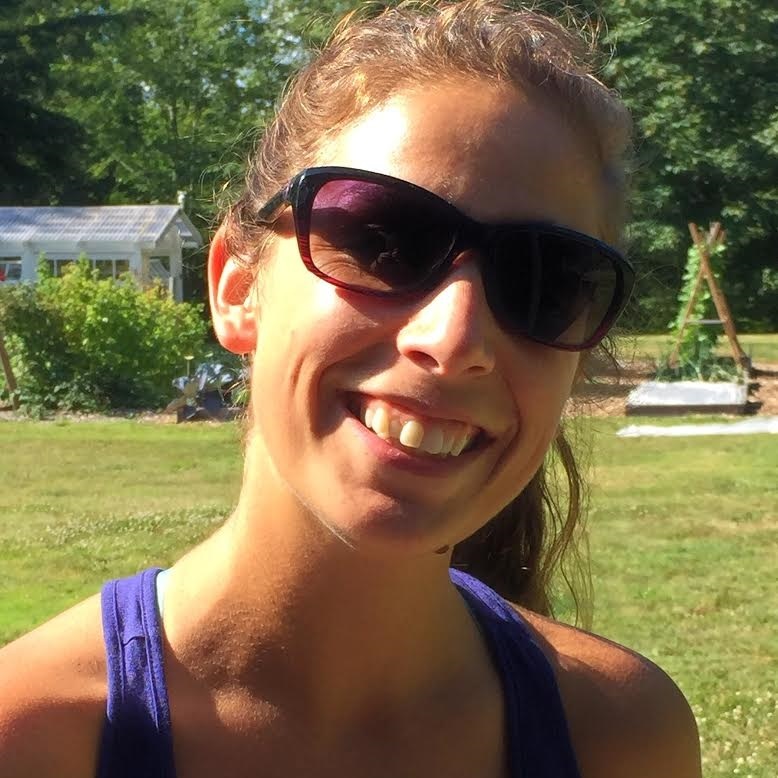 Now that I eat (well mostly!) 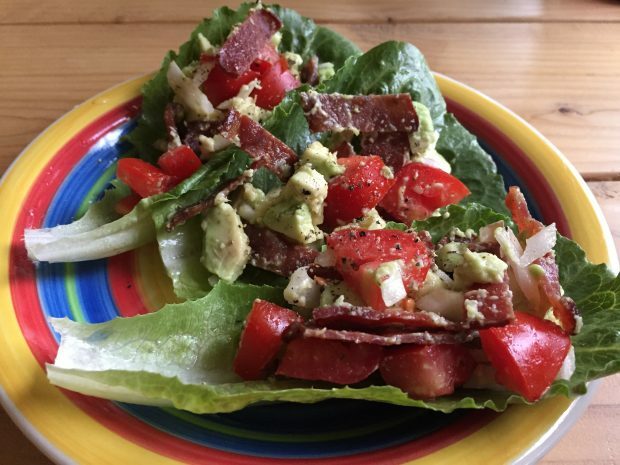 Paleo I’ve been looking for ways to recreate my favorite dishes to be a little lighter and healthier. This Paleo BLT Wrap recipe is just that! 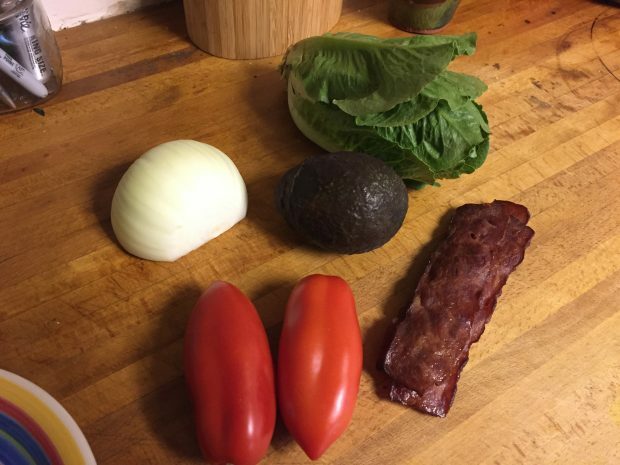 By just switching out lettuce for the bread and avocado for mayo it still has that simplicity of ingredients. The avocado really helps create the perfect balance of flavors and is a nice alternative to mayo on any occasion. I guess you could call it a B.L.A.T. Wrap! 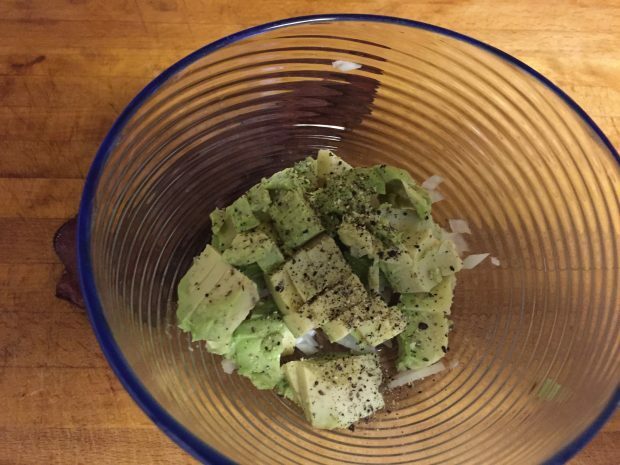 In a small bowl combined avocado, onion and salt and pepper. Add the sliced bacon and diced tomatoes. 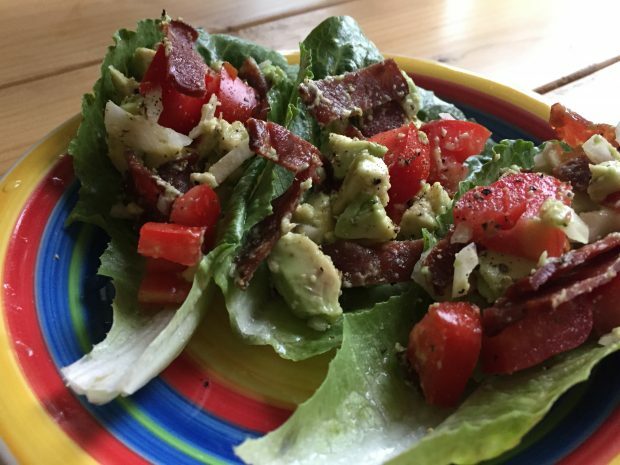 Scoop equal portions of the bacon avocado mixture into the dry romaine leaves and top with more cracked black pepper if desired. This is incredibly simple and equally delicious. The smaller inside leaves of the romaine are the perfect size for mini versions, which are great for a light snack or parties! For other great Paleo finger foods for your holiday parties check out this great appetizer roundup.